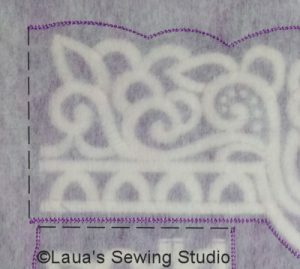 Note: The Free-Standing Frames in this tutorial are not free-standing lace. However, I do have a free-standing lace frame here. 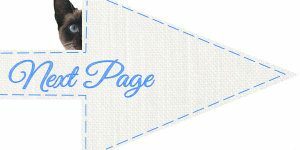 Following the directions that came with the designs, prepare the fabric, and hoop it with the additional stabilizers noted. 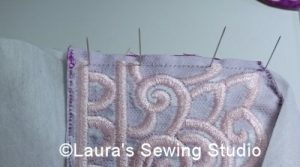 If using the single corners, sew 4 repeats. Be sure 2 of them are the mirror image designs**. That’s why they are there. 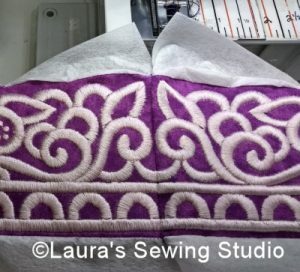 If using the special left/right side designs (requires 6×11 hoop) then sew two repeats. One being the mirror image of the other**. **Note: The two sides of the corners are not identical. Each side is a different design. Hence, the mirror image designs. Follow the thread changes listed in the document including the last step and thread change. Remove all from the hoop. 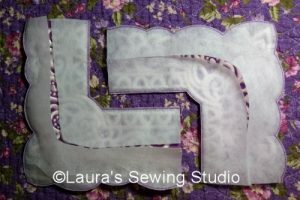 Use ¼-inch seam allowances for the Free-standing frames. Cut across this line on each end of each design. 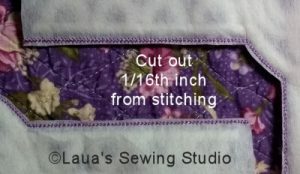 Cut out the designs 1/16-inch outside the stitch lines that attached the fusible stabilizer – shown in purple. Take your time doing this. Careful not to cut anymore off the two ends where the pieces will be sewn together. Trim close but not too close. For turning, the stabilizer needs to be cut open. 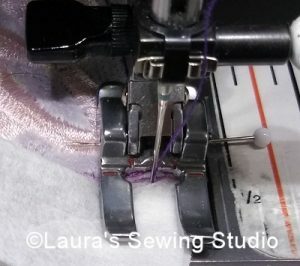 Use scissors to cut through the center of the fusible stabilizer as shown. Split the stabilizer in preparation to turn it. Take 2 and place right sides together and pin in place. Make sure the two ends of each corner match the ends of the corners they will be sewn to. As noted above, the two sides of the corners are not identical. Each side is a different design. Hence, the mirror image designs. 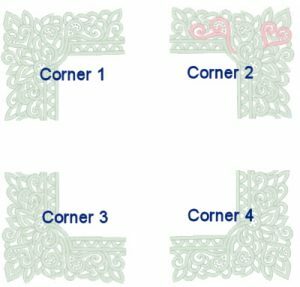 Remember that the corners are mirrored images of one another when arranging them. Pin at each element by pushing a straight pin straight through the top piece and straight down into the same spot on the bottom piece. I do this for each element – shown done with white head pins. Carefully insert the (red) pins that will stay into the fabric as you sew. Careful not to offset each spot where the white pins are inserted. Again, from the backside of the project. Notice the white pin tips are still in the same spot and sticking straight up. Set up the machine for a straight stitch set a 4 mm length. This way if the elements don’t remain aligned it is easier to remove these longer stitches. Start with the needle down just off the fabric and onto the stabilizer. 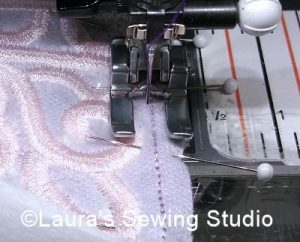 Sew on the fabric one to two thread widths inside the row of stitches made during the embroidery process. 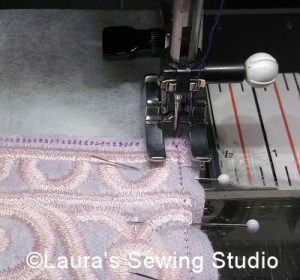 Don’t sew across the stabilizer. Just sew on the fabric. 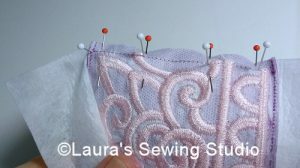 Don’t forget you will be sewing over some of the embroidery because it extends a little bit into the seam allowance for continuous embroidery stitches in the well of the seam. Now stitch the middles together. Sew past the design a stitch or two. Now the top of the frame is constructed. Repeat the same process sewing the top and bottom together to complete the frame.